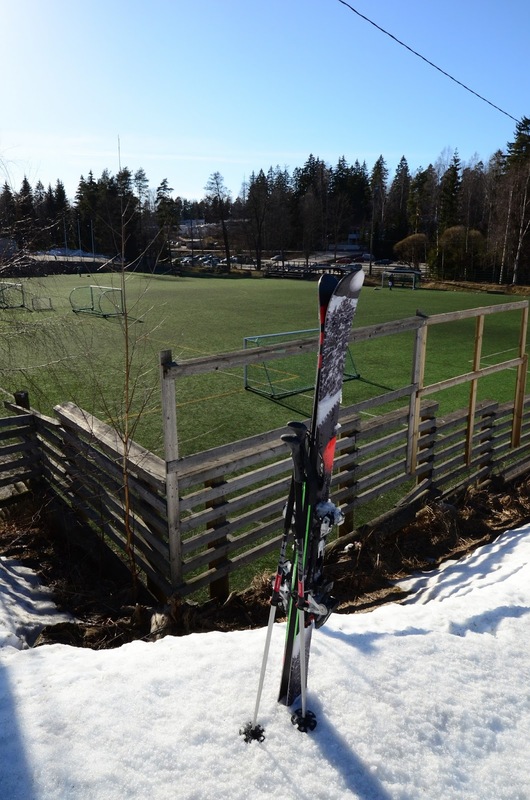 The above picture aside, the skiing season is not over at all, not even here in the Helsinki region. Grani and Swinghill were still operating today, and Grani will run a couple of more days in the coming week. And in the other ski areas you can always hike up. And the weather is excellent. Get up, get out, get up, and come down! 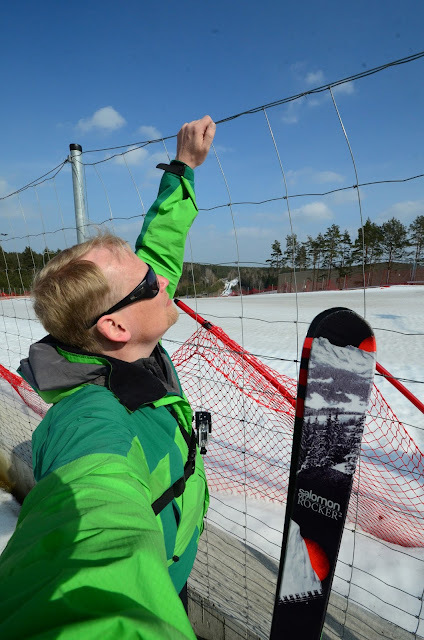 I wanted to do a tour of the closed ski areas in the region. 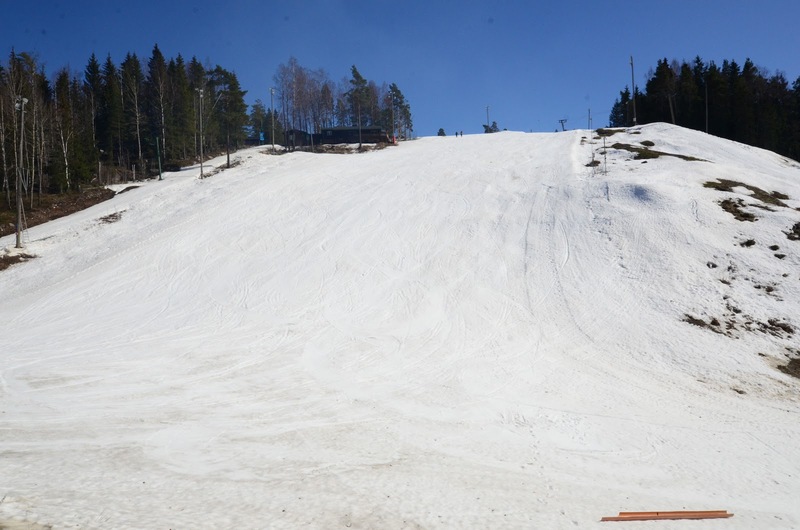 But Grani was still open the full day, and the owners were running Nuuksio's Swinghill in the morning. 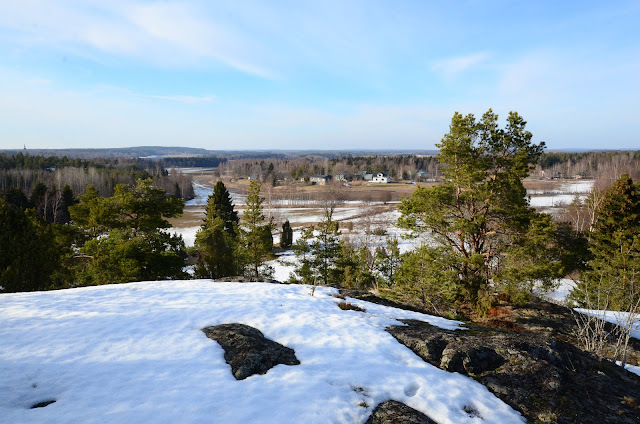 I only got to Nuuksio in the afternoon, so with the exception of Grani, I hiked up in all of these hills. This was my Sunday exercise, so it was important to actually have to put in some effort! Mankkaa snow dumping ground: Snow situation is good, but the recently rained one foot of sand is making it difficult to find the snow. Not recommended for your number one skis. 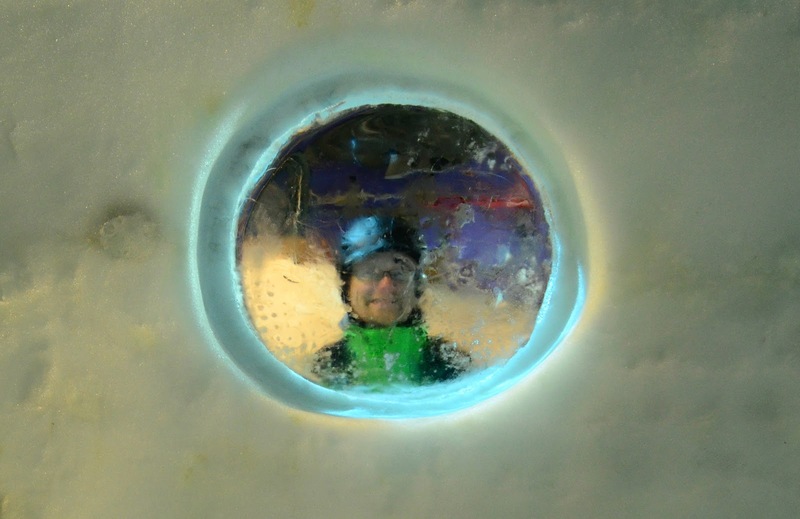 However, I suspect that ice climbing opportunities are soon excellent. 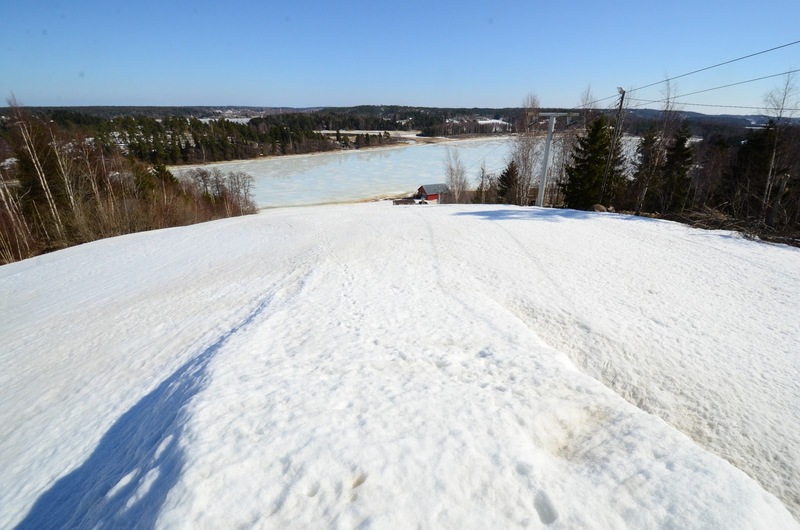 Laajalahti sledging run, "Taivari": Snow situation is reasonable. Crossing the water-filled sections at high speed has been found to be interesting for kids and kid-minded people. No lift. Grani: Snow situation is excellent. I am pretty sure that this year we will be skiing on Glacier du Kauniainen in June. 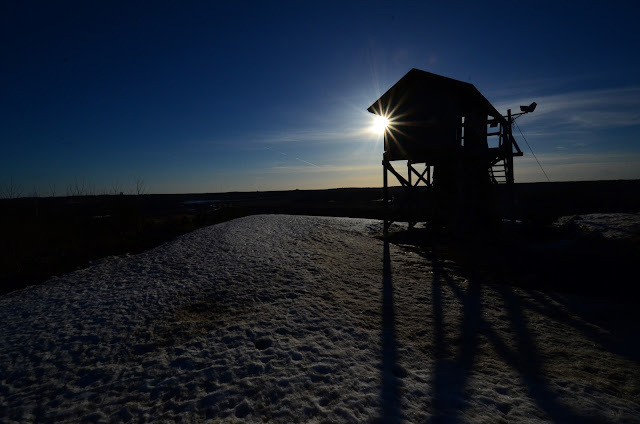 The ski lift will be closed on Thursday, however, but before that you can catch it from 6pm to 8pm. Recommended! Swinghill: Snow situation is good. 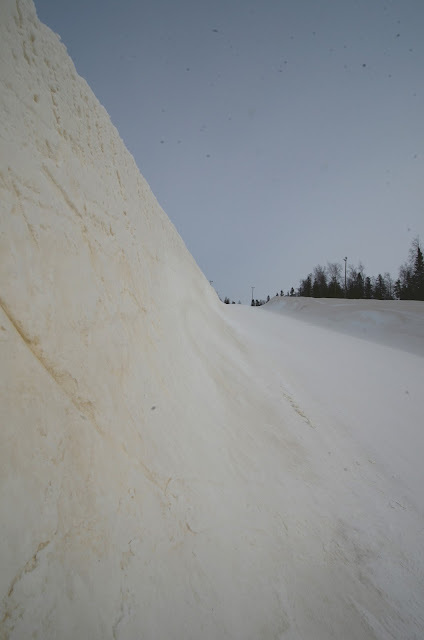 There are plenty of jumps and other activities on the slopes, at the same level as the upper parking lot. So this is a good place for snowboarders, for instance. The area is closed, so you will not spend much money on lift tickets. Skinning up is good for you. Peuramaa: Snow situation is good. Golfers are threatening to take the area over, however. Photo and video credits (c) 2013 by Jari Arkko and Jarmo Ruuth. Tämä blogiartikkeli löytyy myös suomeksi. Country number 36 is Lithuania. I visited Snow Arena in southern Lithuania, near the border to Poland and Belarus. 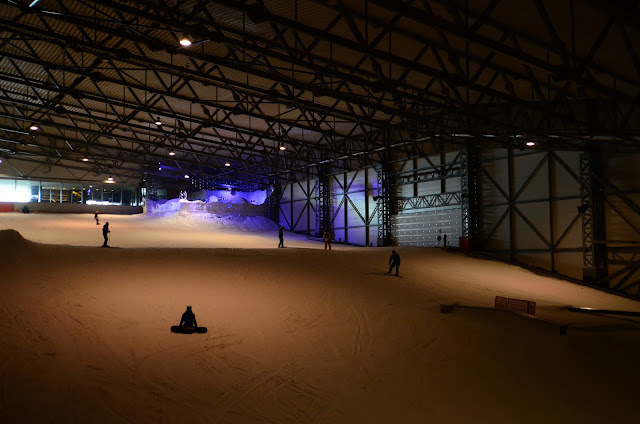 Snow Arena is a unique indoor-outdoor ski center, something that I have not seen before anywhere. 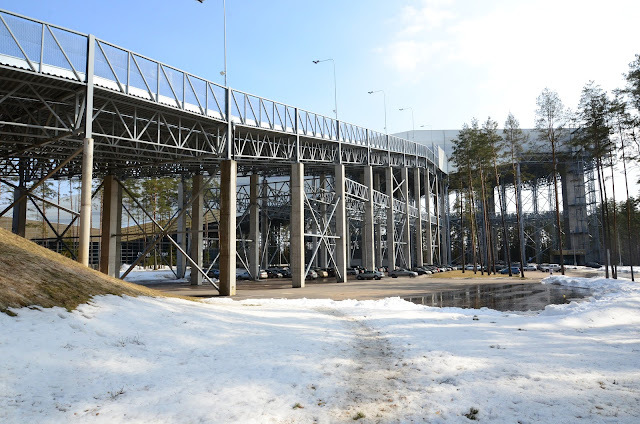 The indoor ski hall operates throughout the year, but during the winter they open an exit from the top of the structure. An elevated "bridge" carries the upper part of the outdoor slope, which then continues along the natural terrain. 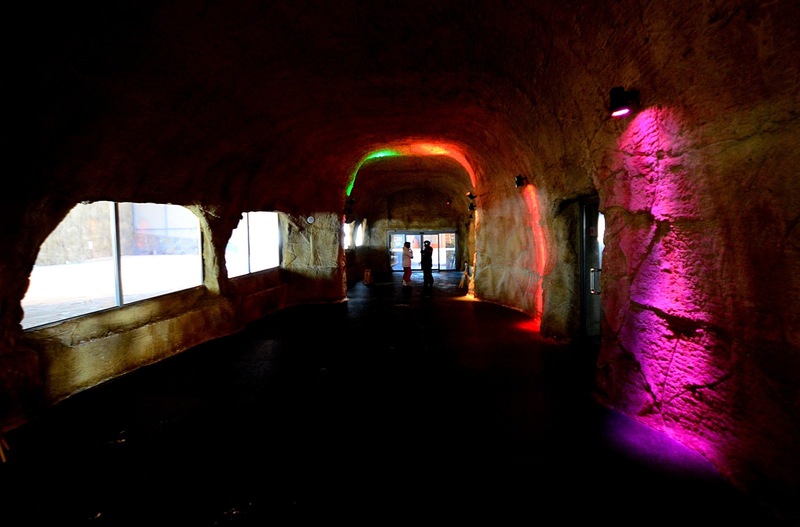 The indoor slope is one long, straight slope. The entry to the slope, though is from the middle, and a small beginners slope is near the entry as well. Along the slope there are plenty of jumps, rails, and even an air-filled landing pad for acrobatic jumps. 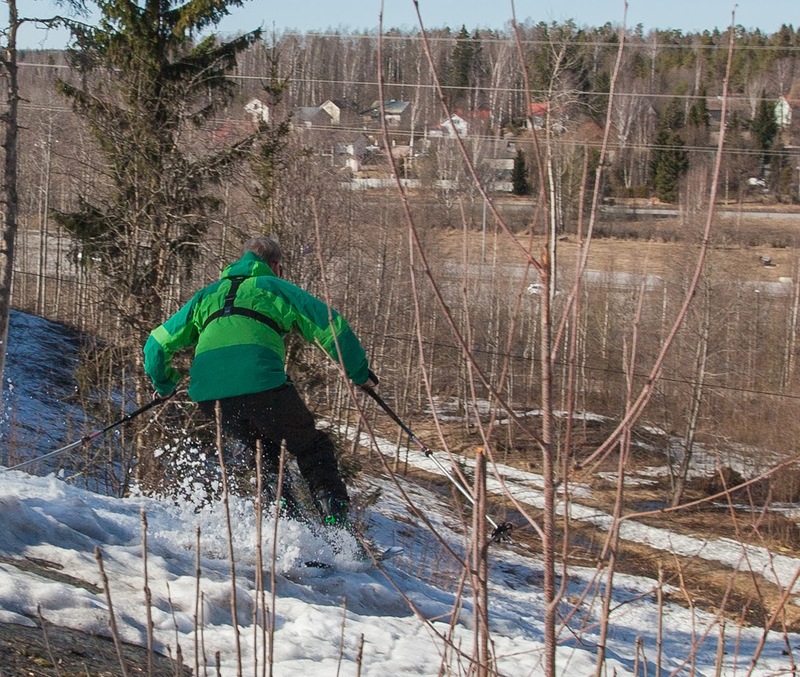 The slope is of medium steepness, steep enough to ski down comfortably, but not very steep. Turning indoor slopes like the one in Dubai are better in this respect. 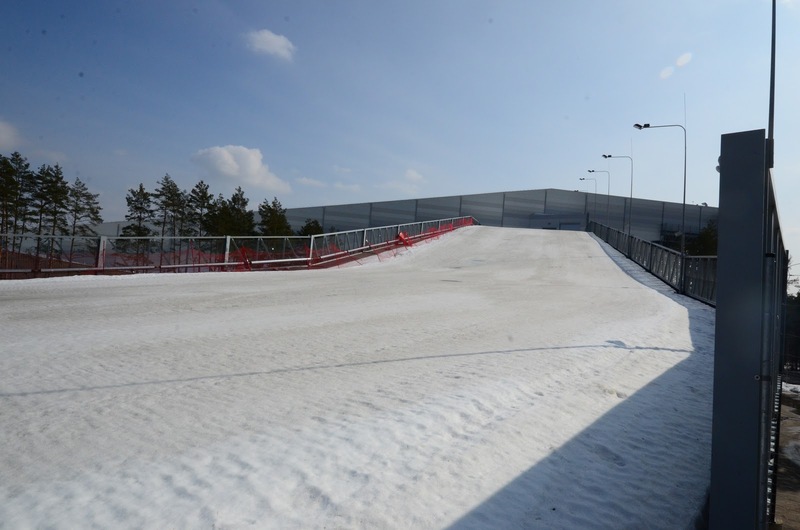 But I enjoyed Snow Arena's slope, particularly the various extra activity spots. Gear is included in the lift ticket prices, and in addition there are ski school services. The outdoor slope was unfortunately closed at the time as I was visiting in April. I looked for an exit door that I could open from the indoor slope, but found none. 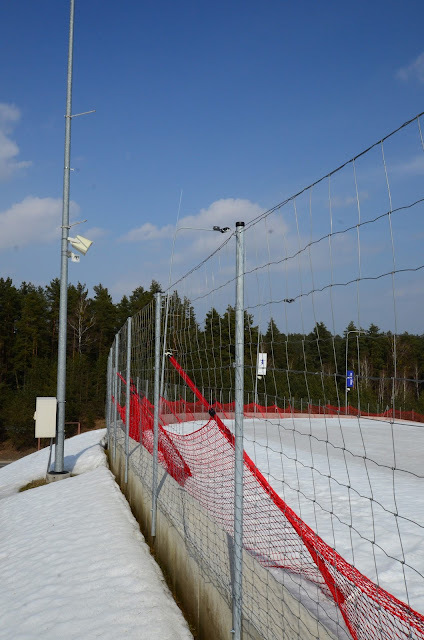 I hiked around the outdoor slope (which was still fully covered with snow) to find a way to enter, but found nothing else than fences and security cameras. 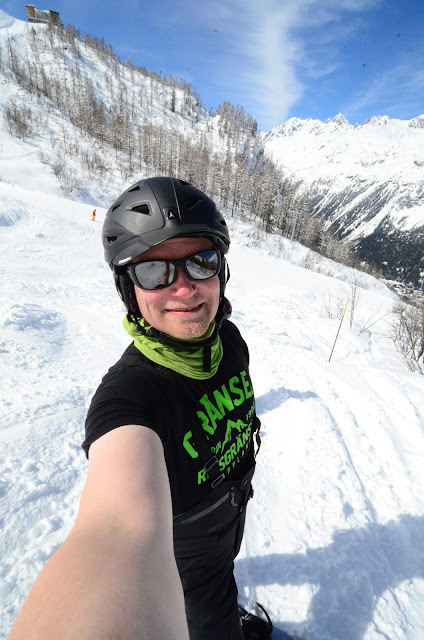 Oh well, I did get some outdoor skiing, as I skied down the side of the slope towards the road. On untracked, soft snow! Snow Arena is at Druskininkai, a popular recreation area that hosts spas, restaurants, and beautiful nature. This would have been an interesting area to spend some more time at. Recommended! 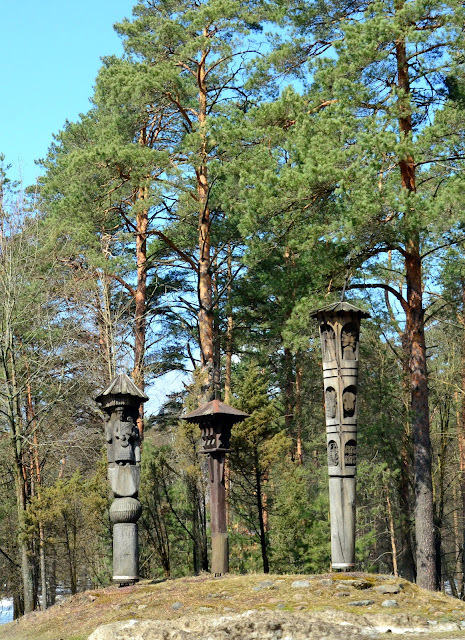 Druskininkai is 1 hour and 40 minutes away from the aiport in Vilnus. While the airport is a very nice, old-style building with modern insides, there seems to less flights to Vilnus than to neighboring countries. For instance, Finnair does not fly to Vilnus on Sundays, so I chose to go on a Saturday. I had a very productive weekend, by the way - Saturday in Lithuania and Sunday in Åland, and still found time to do a lot with my son on Friday and Saturday evenings. 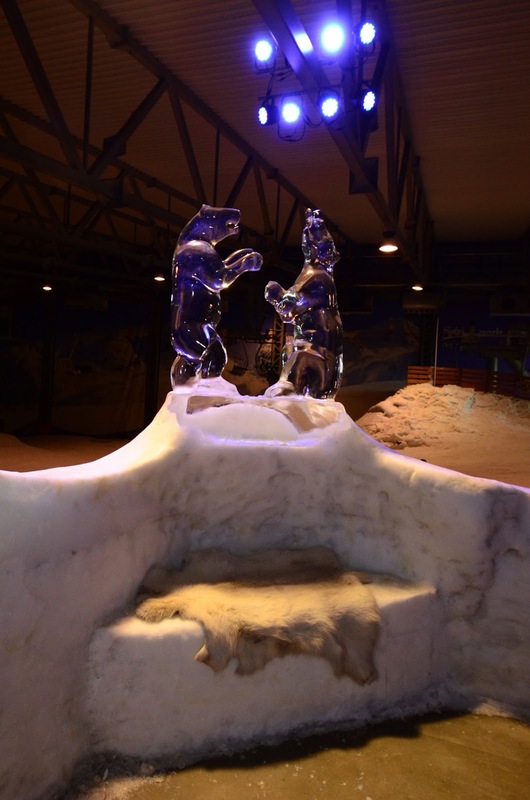 Day tickets for Snow Arena cost 85 LTL for adults. This is about 26 €, i.e., relatively inexpensive. It is mid April and the sun is shining. 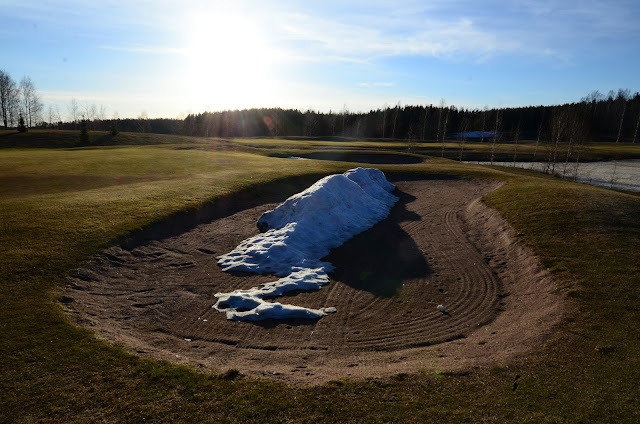 Is there still some snow left somewhere? There is, at Åland! The Åland islands between Sweden and Finland are known for their sunny summers and flat landscape. I took a boat there to investigate if there'd be any skiing. Surprisingly, during the winters there is snow. 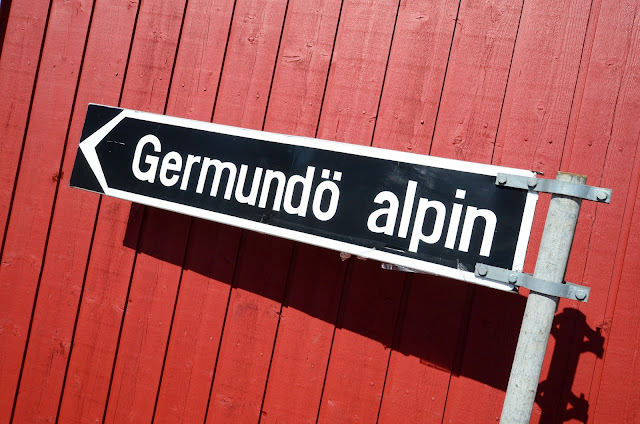 And a ski area: Germundö Alpin is the local ski club hill, with one lift and two runs. It is even smaller than my home ski hill, but a fun place to ski at. And I like these community-run ski areas! They are next door to the people who ski there, no need for wasting time on travel (like I always do). 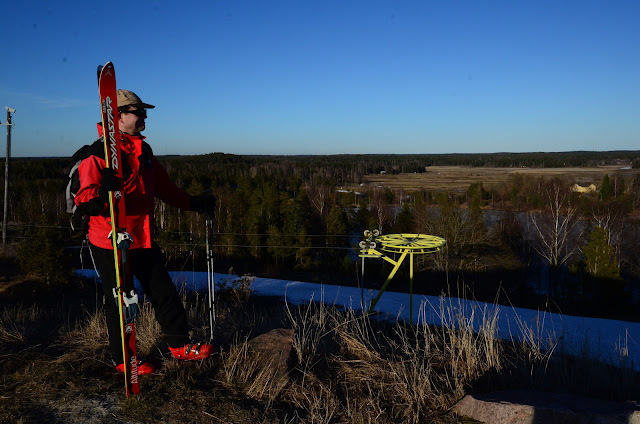 You can ski couple of hours on a school evening. Most of the skiers are kids and thoroughly enjoying their experience, despite the hills being small. At Germundö, an anchor lift takes the skiers up the hill. You can ski down either straight on the main, relatively steep slope on the left, or take the swirly and less steep right side. On the right side run there are some areas for potential off-piste skiing. But at this time of the year there isn't enough snow left for that. The ski area sits next to a lake. As I admired the views, alone and in silence, I could hear sheep make noise on the other side of the lake. Definitely a rural area. At bottom there is a large warehouse and a tiny cafe. I read from somewhere that they even have gear rentals. I was unable to check out the lifts or cafes, however, as the are had closed for the season a couple of weeks ago. I kept hiking up in soft snow, carrying my gear, until I got tired. The skiing was fun. I always like skiing in soft snow. Even if this time the snow was soft for my feet, but on skis it was still somewhat firm. For this late in the winter this is exceptional. I'm sure there will be snow far into May, at least. 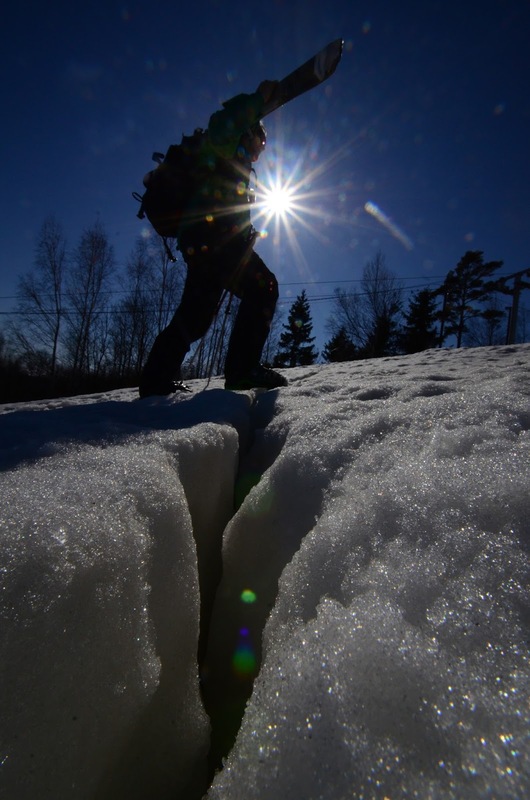 But the snow had been melting a bit, enough to create a few dangerous crevasses. Since I had come all the way from the mainland, I did not want to stay only at the ski area. On my way to the area I had been on the lookout for other hills. On the return trip I stopped at a hill near Jettböle. 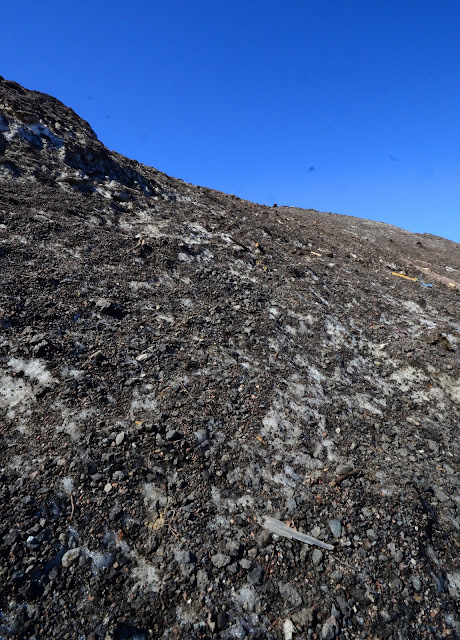 A rocky hill with some snow left. As I approached the hill, I found a parking place with a sign explaining the historic significance of the site. 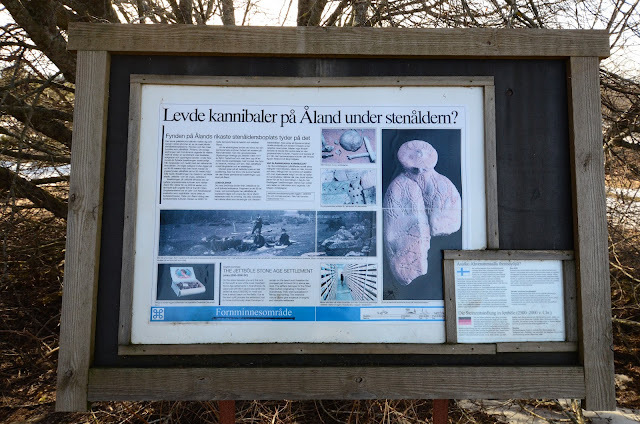 Five thousand years ago, the early inhabitants of Åland lived in a village here. Archeological excavations have uncovered some aspects of the life from those early days, and it turns out that the inhabitants practised cannibalism. There is still a village in Jettböle. I do not think they practice cannibalism any more. Although the people that walked by did look at me in a weird way. 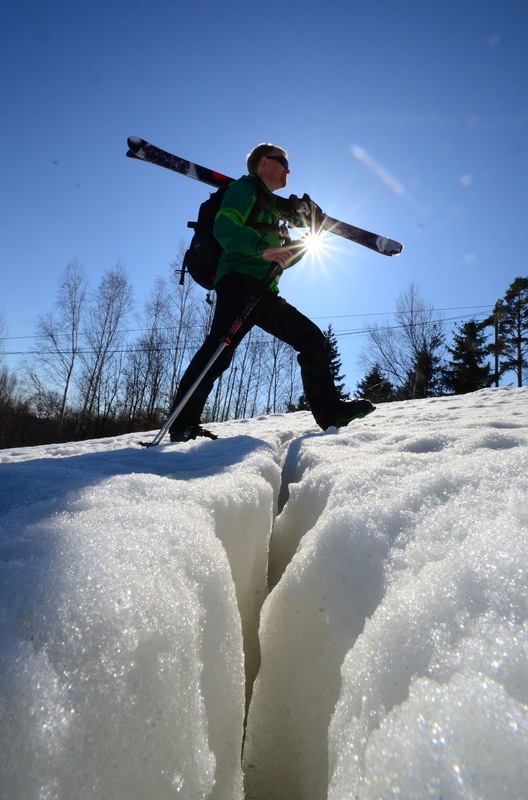 I've been used to this when I carry my skis in the odd places, like on the streets of Hong Kong. Maybe it is the same thing here at Jettböle. Or maybe they were hungry? In the historic times the sea level was higher, and the beach was on the field. 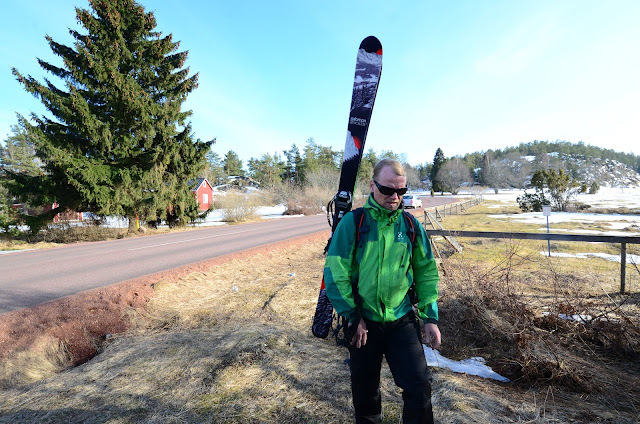 Now I walked through the field, carrying my skis. 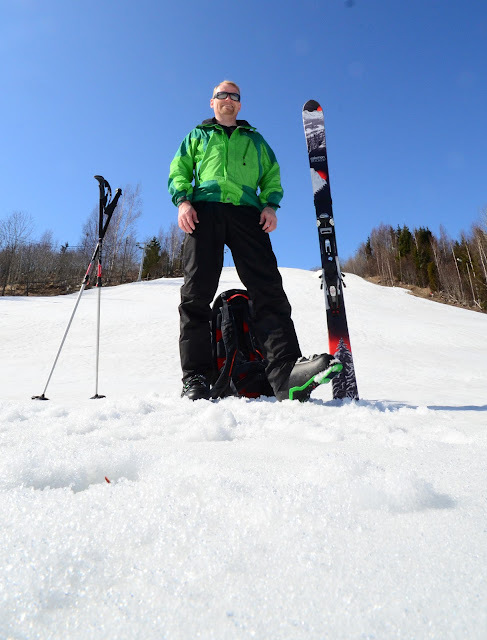 I climbed and skied the hill. 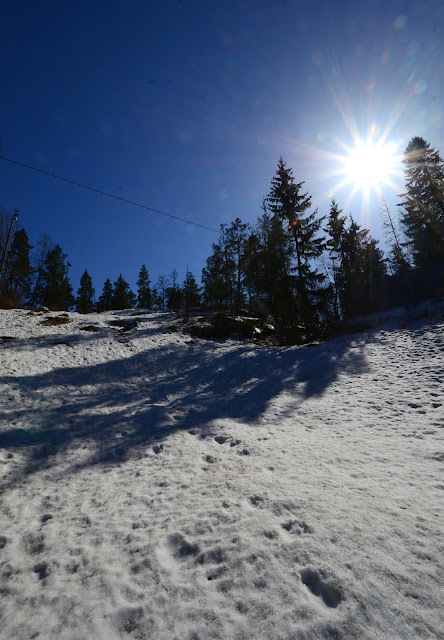 But it was too steep with too little snow left. Not a good experience for me, and a very bad experience for my skis. But I got down safely. With more snow, this area would be a more interesting place to ski. Maybe with lots of snow even the open cliff area would be skiable. But not in April. Germundö has about 40 meters of vertical (120 feet). 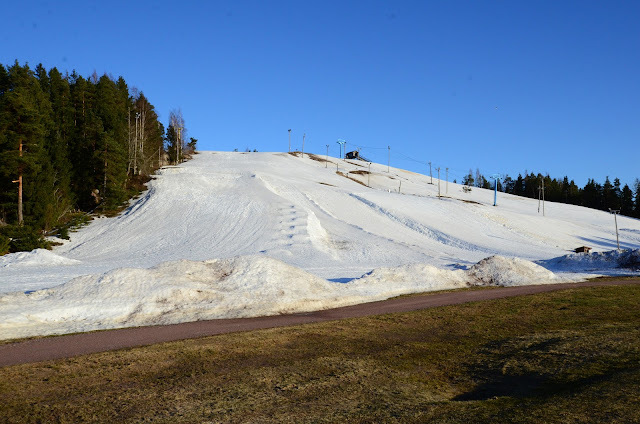 Here is some additional information about the ski area on the tourist information center's pages. 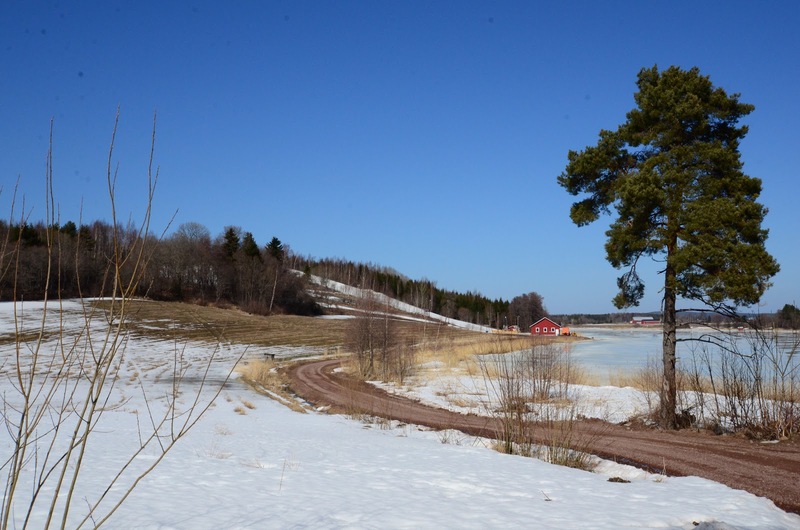 The area is at the Lavovägen, the route from Marienhamn can be found from this link. And the ski club's Facebook pages are here. Jettböle map can be found here. 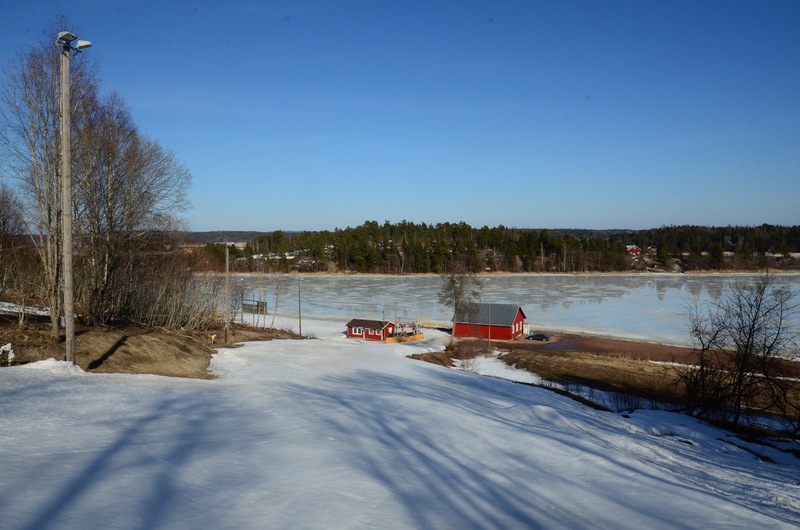 The entire Åland is pretty quiet outside the main tourist season. Particularly on Sundays. The one and only restaurant open in the whole city on Sunday was Kino, a small pizzeria. 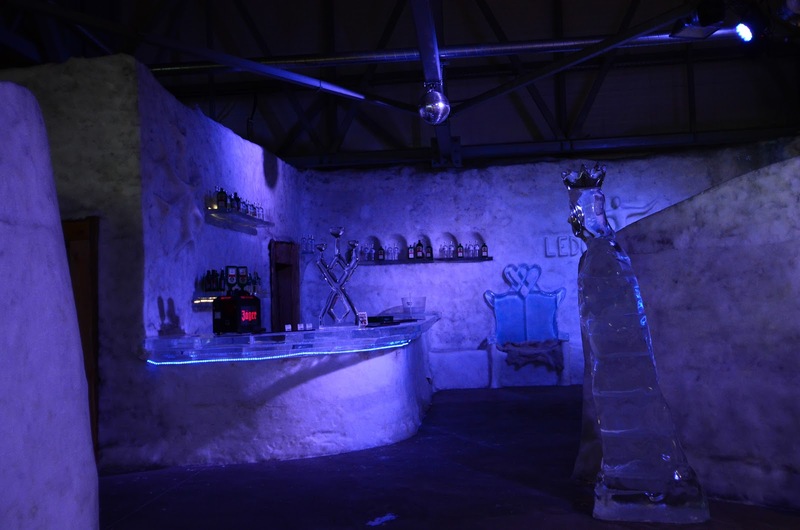 It is located in the same building as the Kino nightclub, the most popular club in the city. But it is not open on Sundays, either. And the pizzeria closed its doors at 9 pm. But I can definitely recommend Hotel Savoy. I did not spend the night in Åland this time, as I arrived in the afternoon from Turku by boat and left at midnight towards Helsinki, again on a boat. But after all the climbing I felt like a shower would be needed. For a couple of Euros I was able to book the sauna in the hotel. 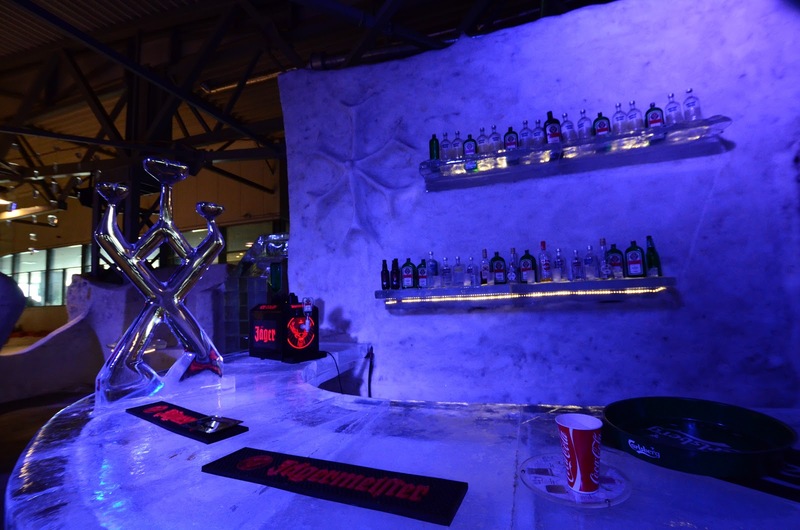 There is also a bar in the hotel lobby, open until midnight, and an excellent, free wireless LAN. Recommended! Oh, and Hong Kong: the locals do not seem to know that their city has the eight wonder of the world: an infinitely long ski run. Videos and pictures (c) 2013 Jari Arkko. The finnish language version of the blog is here. 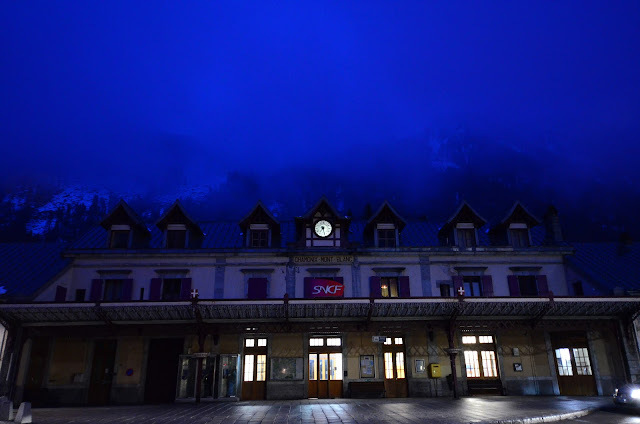 As I wrote in my previous blog post, I had been searching for a ski destination for a day trip. Unfortunately, nothing worked in my set of options. There were no skiable countries that I could get to, or I had already been there before. 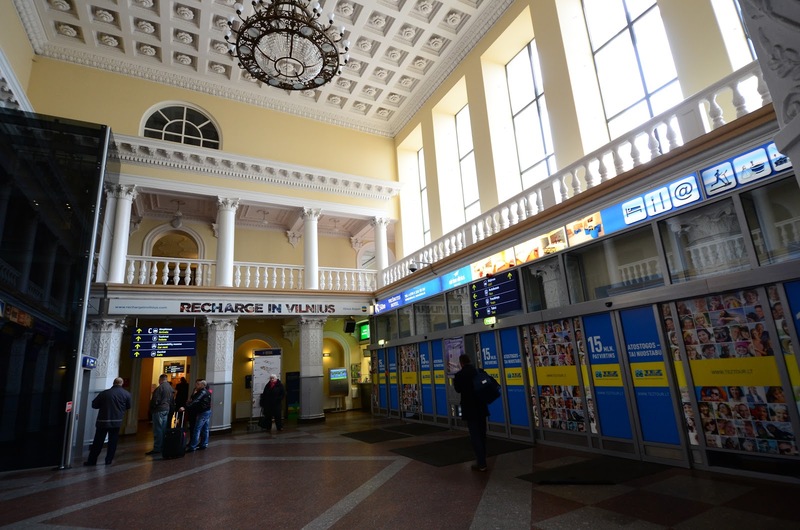 Ukraine looked very tempting with cheap flights, but that ten hour train trip to the ski area didn't quite fit with my day trip plan. And I really wanted to go to Kroatia, my friend Miljenko's home country. But the flights were too expensive, and the ski area was only open on Tuesdays. So I ended up going to Cuopio instead. There's plenty of skiing around Cuopio, Gasurila for instance. 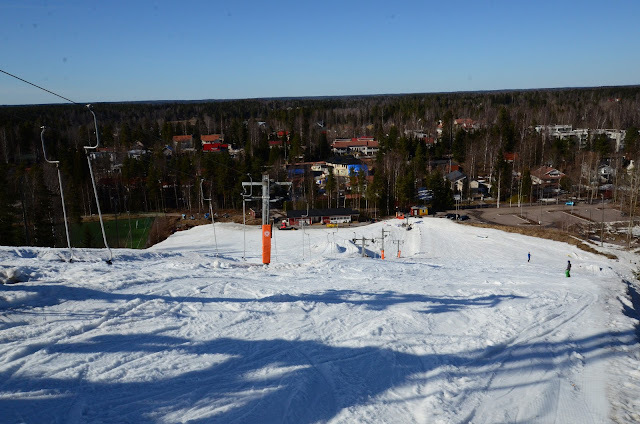 But the best skiing is definitely in Nilziä, at the Tahco ski area. Or Tahko, as the locals call it. This ski area deserves more credit. It is within a driving distance from Helsinki, although for the day trip I chose to use an airplane. 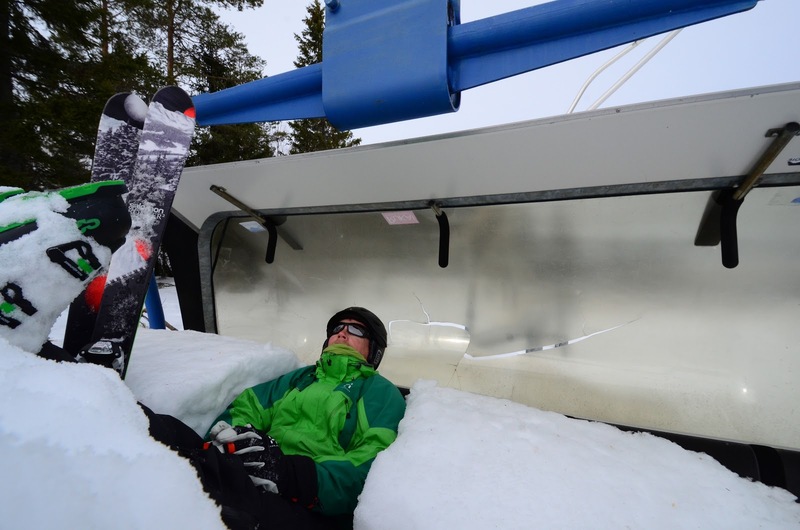 What is good about Tahko is that they have two chair lifts, whereas most of Finland's ski areas use anchor lifts. And they a fair number of good ski runs, not just one or two. 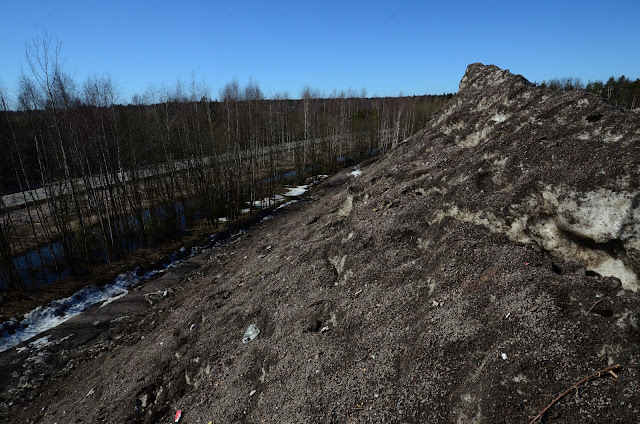 There is only 200 meters of vertical, but by Finnish standards that is a lot. And what runs! Almost all runs have sustained, decent steep skiing all the way to the bottom. The steepest run is called "Musta Pekka". Nothing to compare to the black runs in the alps, but still long and steep enough to be fun to ski. This is a cultural disaster. A couple years ago Tahko had great after-ski on the slopes at the Pehkubaari, a small log buiding at the top of the hill. Since then, it has been all downhill, and not in a good way. There is no longer dancing on the tables in afternoon. 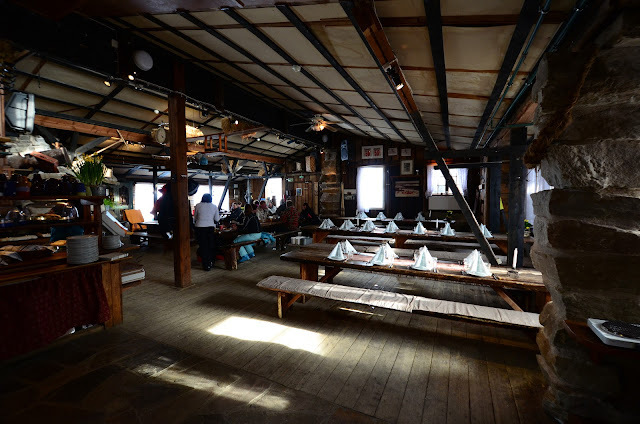 Instead, there are table cloths and fine dining. Yuck. There was, however, a sauna at the top of the ski hill, behind Pehku. I wish I had the time to do that. But not on this trip. 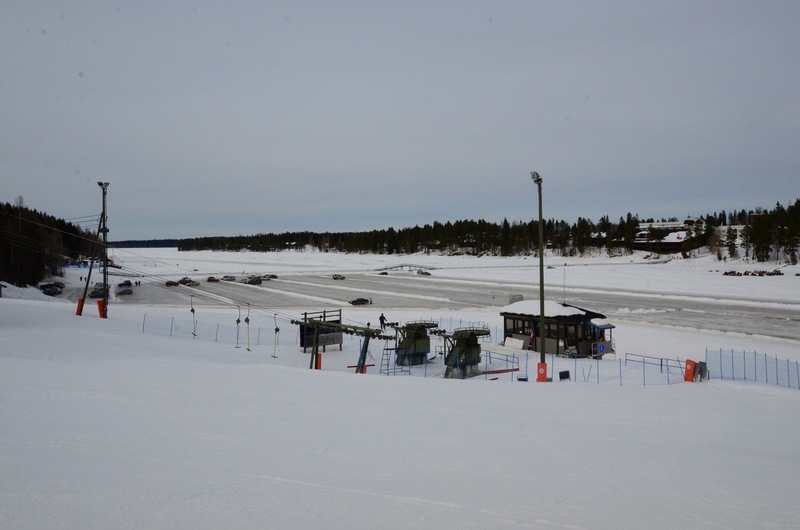 One interesting fact about Tahko is that parking is on lake ice. Kind of a natural guarantee that you'll come get your car before the spring arrives? For some weird reason, at home I got a complaint that I'm not taking enough part in chores such as cleaning. 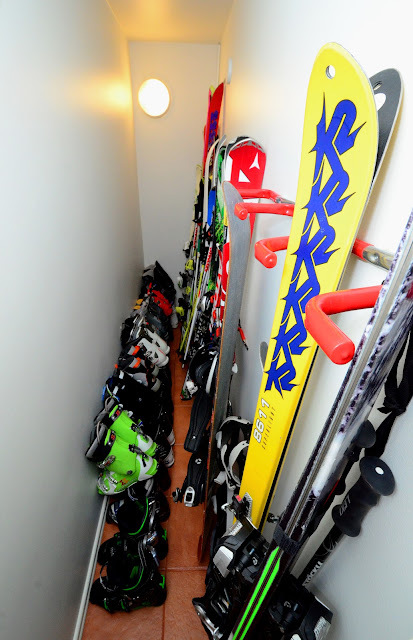 In order to rectify this unfortunate situation, I promptly proceeded to clean up the most important room, the ski storage room. It has usually not been in a state that can be photographed, so the below photo is a rare shot of the room. Incidentally, when we built our house there was no plan for this room. 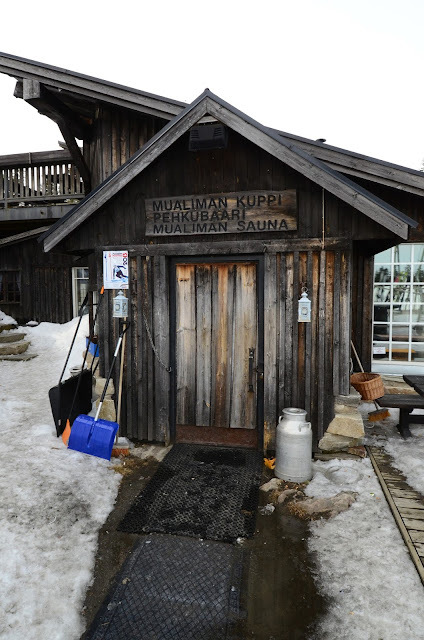 But our sauna was getting too big for reasonable sized heaters, so we reduced its size by building a new wall. The end result was a narrow corridor that now holds the skis. I am searching for a destination that I can fly to and back next Sunday, no Visa required for entry, there is snow left, and I have not been there before. This is surprisingly difficult. First off, I've been to most of the the easy places. Secondly, many of our neighbouring countries have visa requirements. I travel so much that I may never be able to leave my passport in the Russian embassy for six working days, for instance. Does someone know if I can get a second passport in Finland for this purpose? Secondly, a day trip works best when I can fly direct. 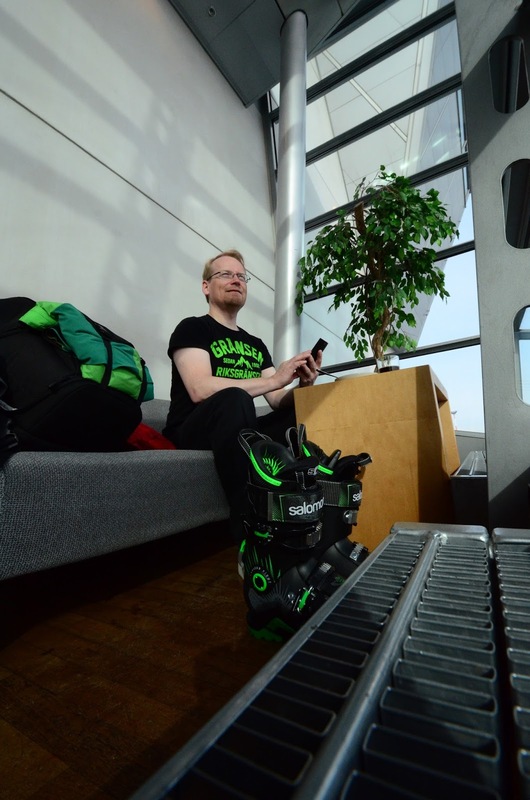 A six hour wait in Copenhagen or Frankfurt will not help, as getting to a ski area also takes time... at least a few hours both ways, and I obviously want some time at the area as well. This time I could probably return early Monday as well, but in general, it is not easy to find flights. Particularly when I do not want to pay for that last remaining business class seat. Iceland: Difficult to find flights that get there early enough on the day. 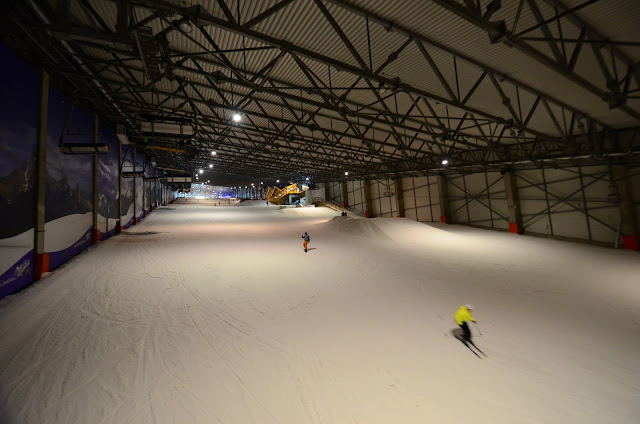 Ireland: Is there snow or indoor skiing? 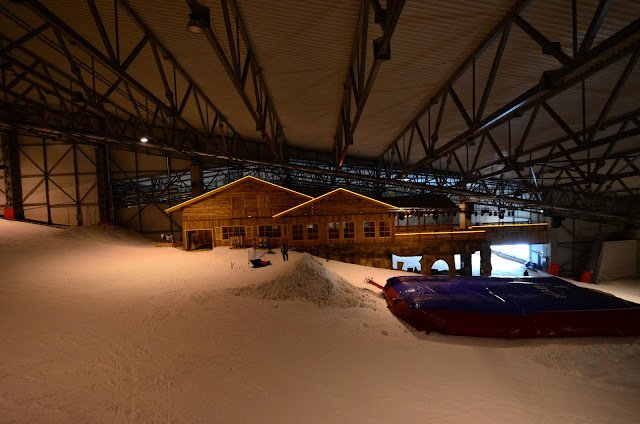 Lithuania: I'll do this someday, as there is a very interesting indoor ski place. But it seems like a waste to do it during the winter. And there no direct flights on Sundays. 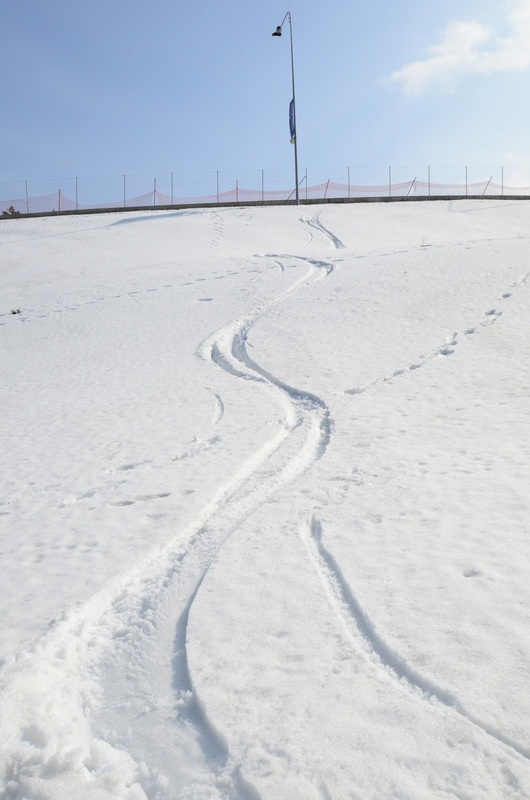 Hungary: The best ski area closed two days ago. Ukraine: No visa required, great! But is there something to ski? 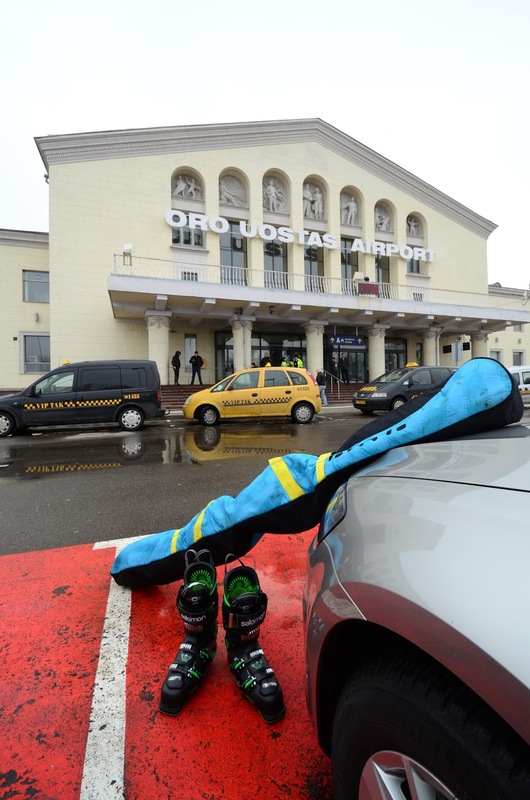 Croatia: No easy flights, but otherwise this would be very interesting. Could I drive there from Milan? Serbia: I know nothing about this place. Snow? Moldova: No visa, great! But is there snow? Albania: This would be great, is there snow? Are there flights? Macedonia: I know nothing about it. Kosovo: I know nothing about it. Any ideas? Do I have any friends in the above places that could provide some advice?